An authentic Indian Chai experience with Organic Tea, Organic Vanilla and a blend of relaxing spices. An authentic Indian Chai experience with Organic Tea, Organic Vanilla and a blend of relaxing spices. Just add milk, hot or cold, for a deliciously transformative twist on tea. Just add 15 ml of Chai Syrup to a cup 200 ml of milk and ice if you need summer refreshment, or hot and steamy if you're in for a winter treat. Add a sprinkle of cinnamon or nutmeg to finish it off. 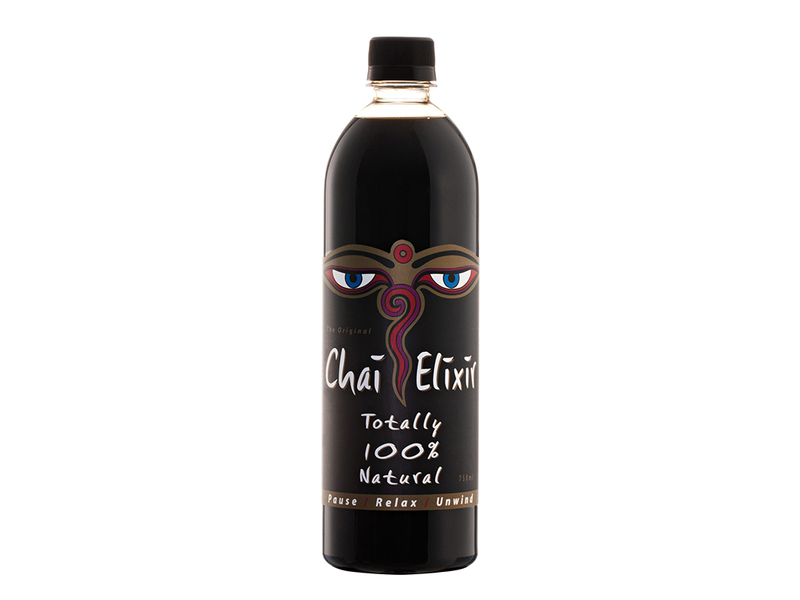 Alchemy's Energy Chai is available in 750ml bottles only.